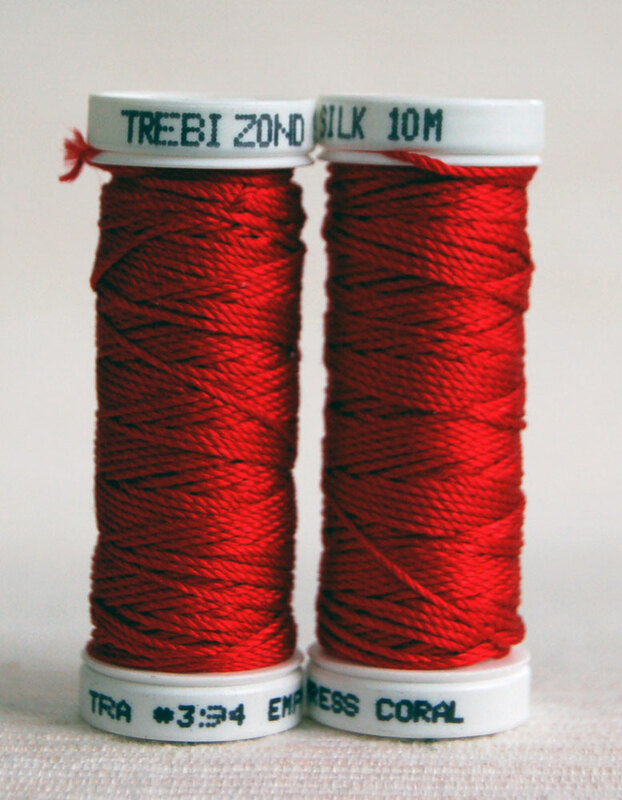 Today I was reading Mary Corbet’s newsletter and learned how to handle Trebizond and other filament silks. I thought you might be interested in the info, too. Also, by putting the link here in my blog, I will always be able to find the info when I pull that Trebizond out to make the Trebizond page in the Thread Sampler book! 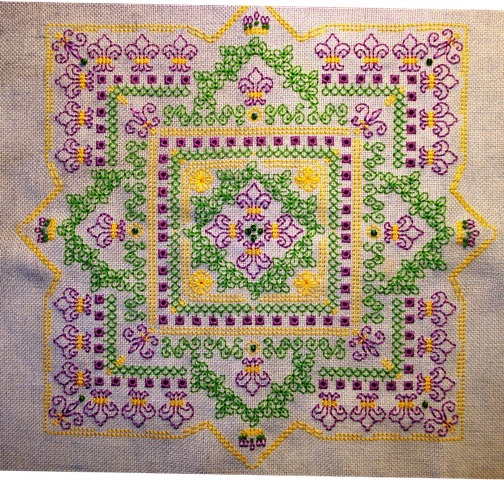 Avis of “Oh Sew Tempting” is organizing a Mystery Stitch Along at her blog. It will feature a design she has created. Get the details at her blog. I don’t think you have to do anything to join. Just show up! I’m going to! I just finished my Seba Claire93 SAL that Avis mentions. You can read about it and see it on the latest The Shop Sampler post. 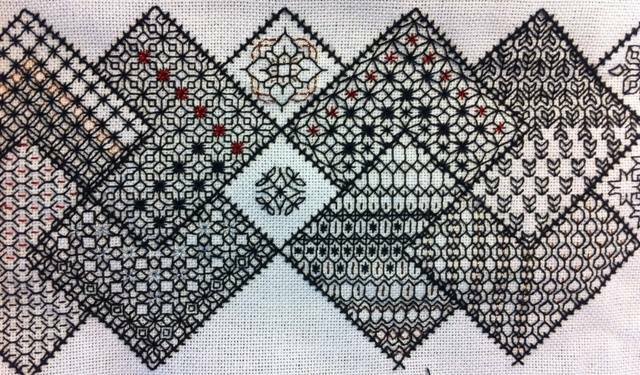 It also makes me think of my two blackwork design projects, the mystery sampler and the thread sampler fabric book. loads about balance, not just in design, but in daily life. I’ve always been kind of an all or nothing sort of person. But so much is missed when you don’t follow “the middle way,” looking all ways along the way. I am enjoying this journey. 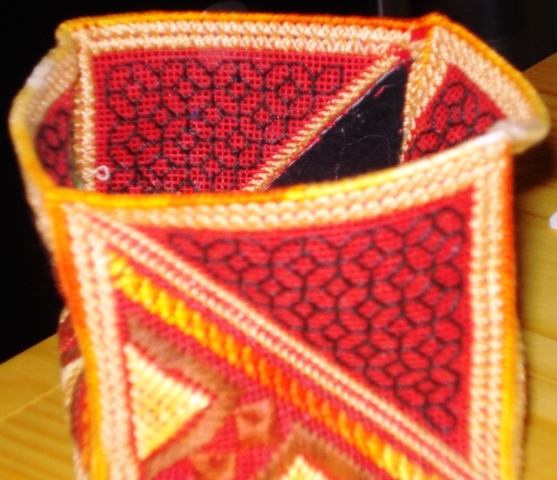 And, after all, stitching is supposed to be fun! 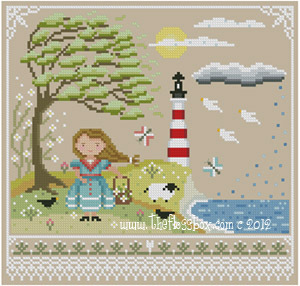 What does your stitching life teach you? 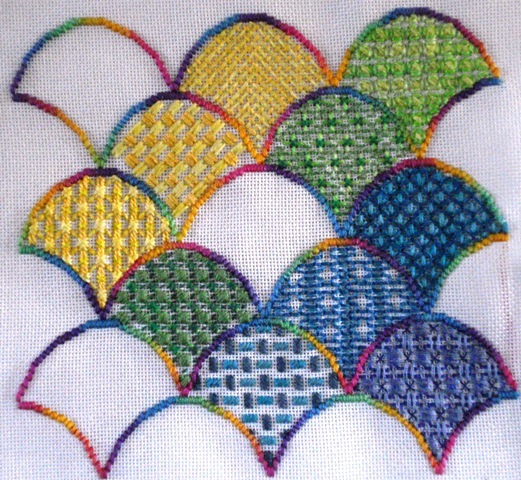 How has stitching changed your life in little ways or big? What kind of Journey are you taking? 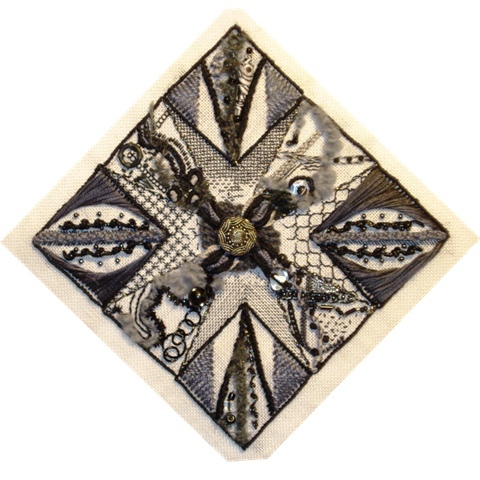 Are you on the Blackwork Journey with me? This is what I’m doing at The Shop Sampler. Join in if you like! Go to The Shop Sampler if you’re interested in participating. I am taking a break from blogging (“Again? !,” you say) for a couple of weeks. I have had a severe injury and we are heading south on October 15. So, I need to heal, do what I can to help get things stowed away for hauling the trailer, and then have my 35 stitches removed. If interested, you can read the saga at my latest post at The Shop Sampler. Since then I have developed what looks to be a giant blood blister under one half of the stitching that I am hoping will resolve without becoming an open area, compromising the stitching. The good news is that the hospital my Doc works at has a top rated wound care center. I can vouch for it personally having been a patient there for several months after an annual visit to the barbaric practice of mammography. The pressure caused a cyst to erupt and I ended up with an incredible mess that had to be debrided under general anesthesia. Thermal mammography is the only way for me now! 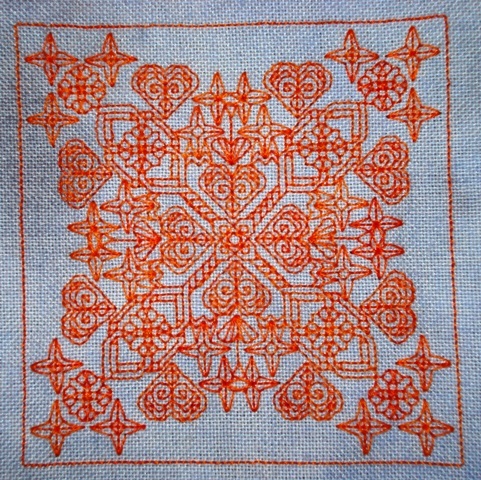 I am going to start the blackwork stitching, i.e., prep the fabric by hemming. Will let you know when we get to Alabama unless I’m able to sit for hours in front of the computer before then, not to mention run around to prep photos, and all the other stuff that goes into a post.